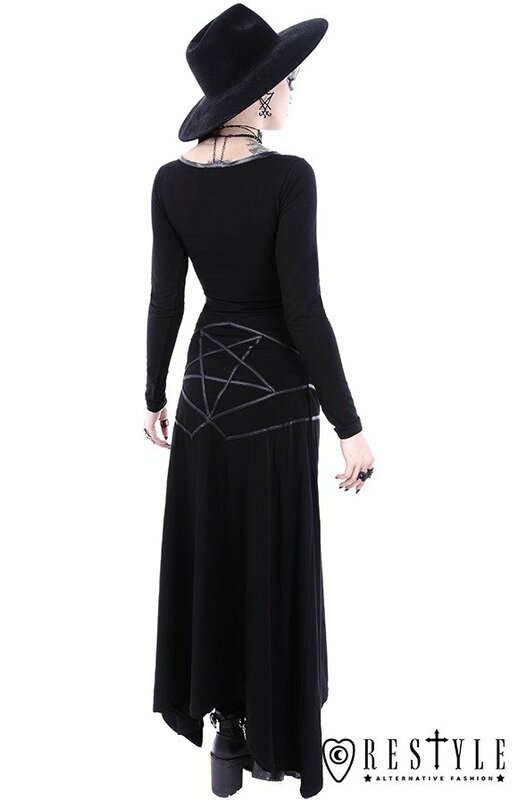 Long gothic skirt "PENTAGRAM MAXI SKIRT"
This witchy skirt is made of thick and stretchy cotton (92% cotton, 8% spandex). There is a elastic band at the waist for a better fit. Skirt has two big pentagrams made of faus leather (front and back). All the measurements in size chart are without stretching the elastic band. After maximum stretch it would have + 10 cm more in waist. This has to be one of my favourite skirts now. It is made from the same thin warm stretchy soft fabric the long pentagram jacket is made of. Similar pentagram motif on the front and back of the skirt. Great sizing. I'm a UK 16 and the biggest size fits me great!